I’ve been capping The Price Of Beauty like crazy today! LOL I’ve capped the first 4 episodes as I didn’t have the caps up for some reason. Anyway check them out below (there is a lot!) and the rest will be added soon. Former Scrubs star Donald Faison and longtime girlfriend Cacee Cobb are engaged, PEOPLE has confirmed. Faison, 37, was married once before and has a child, a son, from a previous relationship. Cobb, 33, is a pal of and a former personal assistant to Jessica Simpson, with whom she costarred on The Price of Beauty. Cobb was also on Newlyweds. Seeing Jessica make those special girls feel beautiful on Oprah reminded me of the amazing show ‘The Price of Beauty‘ that Jessica made with Ken and Cacee. Relive those special moments again! Jessica and Cacee meet an upcoming bride who has been preparing for her wedding in a “fattening hut” for over two months where she drinks milk and “ghee” until she becomes fat. Ken learns how to milk cows, while Jessica and Cacee feast. Back at camp, Jessica contends with a giant spider and creepy-crawlers that spook in the night. Join the conversation with other fans on Twitter with the hashtag: #pobrewatch and our amazing communities on JessicaForum.com, Twitter (@pobnews & @Jessica_Forum) and the Facebook Fan Page. Being an ambassador for Operation Smile, Jessica decides to meet and help Meena, one of the many kids in India suffering from a cleft palette. Jessica, Ken and CaCee hold Mena’s hand while surgeons transform her appearance and her life! Finally the cast undergoes a total transformation…donning henna tattoos and ornate sari’s, they celebrate their new appreciation of vibrant colors and self expression at a huge red carpet Bollywood party. 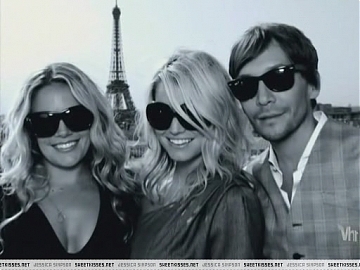 Episode Two of ‘The Price of Beauty’ sees Ken, Cacee and Jessica visit the beautiful city of Paris. Here Jessica faces her fear and takes to the catwalk. They also meet and hear the story of anorexic model Isabelle Caro, who sadly passed away late last year. For more info on this episode check out this page. 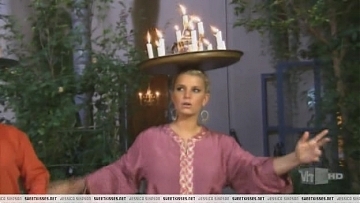 This week marks one year since we saw the first episode of Jessica Simpson’s ‘The Price of Beauty’. To celebrate this amazing show we will be watching the whole series again, one episode per week, as part of The Price of Beauty Re-Watch! We’ll be starting with Episode One on tomorrow until next Sunday – let’s relive Jessica, Ken and Cacee visiting the amazing Thailand! For more info on this episode check out this page. This month marks one year since we saw the first episode of Jessica Simpson’s ‘The Price of Beauty’. To celebrate this amazing show we will be watching the whole series again, one episode per week, as part of The Price of Beauty Re-Watch! We’ll be starting with Episode One on March 14 – let’s relive Jessica, Ken and Cacee visiting the amazing Thailand! For more info on this episode check out this page. Caro, a French actress and model who was featured in an Italian ad campaign in 2007 that showed her naked, vertebrae and facial bones protruding under the headline “No Anorexia,” died on Nov. 17 at the age of 28. Caro told Simpson that she weighed only 86 pounds when a fashion designer told her she had to lose weight to model. Caro said on her blog and in interviews that she had suffered from anorexia since she was 13. She wrote a book published in France in 2008 titled “The Little Girl Who Didn’t Want to Get Fat.” In later interviews, she said she weighed about 27 kilograms, or 59 pounds, when the photos for the Italian ad campaign were taken. The Italian campaign gained Caro widespread media attention in countries around Europe and in the United States. She subsequently served as a member of the jury on Top Model France, and worked periodically as a film and television actress. Jessica Simpson seems really happy these days. “I am,” she told USA TODAY’s Ann Oldenburg Monday night in an interview at the Women’s Conference in Long Beach, Calif.
What she wants to speak about is self-esteem. She will appear at a Dove-sponsored session on Tuesday that includes Gayle King and Katherine Schwarzenegger talking about building self-esteem in young women. “I went through a really hard time, a couple years back with people just harping on the pressure of how to look perfect – obviously using me and my weight. It was a tabloid frenzy,” says Simpson. Ask her what she’s afraid of and she says, “There’s a lot of things I’m afraid of.” Such as sky diving and stand-up comedy, she says, too thing she’ll attempt on the show. But before that, Simpson says she has just recorded her second holiday album, Happy Christmas, which will be carried exclusively by Macy’s and will be out Nov. 23. So for Thanksgiving, we should look for her on a float at the Macy’s Day Parade. My show, The Price of Beauty, will be returning to VH1 for its second season in 2011! The show will undergo some major changes, including the addition of makeovers, so make sure you tune in! More details to come later. In the meantime, check out http://www.jessicasimpson.com for the latest news, pics, videos, and collection items! Russia on MTV – Monday July 12 @ ? ?